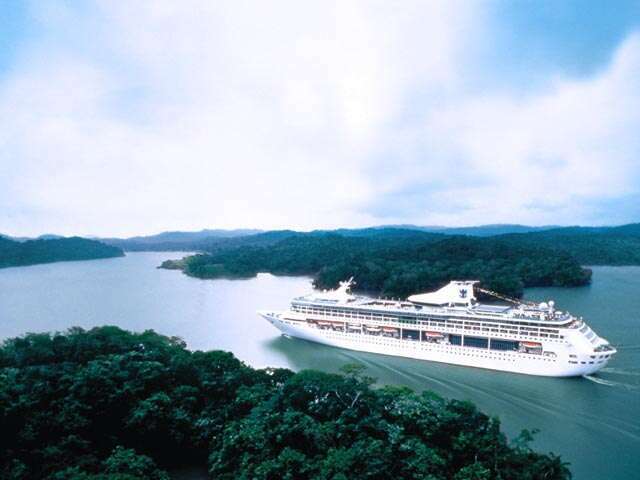 The Panama Canal was recently rated one of the 7 cruise wonders of the world. It remains one of the greatest American engineering feats of the 20th century, as well the 8th man made Engineering Wonders of the World. Opened in 1914 this epic man-made marvel changed the world in the process. There's no better way to discover this colossal wonder than on a Panama Canal cruise. Sail between two mighty oceans or sail a partial transit roundtrip from Ft. Lauderdale, and discover why Condé Nast Traveler named it among its top "Where To Go" attractions. Expert narration will enlighten you as your ship passes through the locks, and you'll dine on authentic Panamanian cuisine. Ashore there is everything from Costa Rican rainforests to Old World cities like Cartagena that recall the Age of Exploration. As staggering a concept of digging through the Continental Divide, it also involved constructing the largest earth dam ever built, as well as the most massive canal locks and gates. And through the efforts of over 80,000 workers and the loss of more than 30,000 lives, the greatest single construction project ever undertaken was completed. The massive locks control the level of water in the Panama Canal enabling ships to pass through this 51-mile "water bridge". This entire trip takes about nine hours. Ships are lifted and lowered a total of 170 feet as they pass from the Caribbean to the Pacific, crossing over the Isthmus of Panama and straight through the Continental Divide. Sail from ocean to ocean, offering both east coast and west coast departures! Embark or disembark from west coast ports such as Los Angeles, San Diego, San Francisco, or Vancouver, and Ft. Lauderdale as your main port on the east coast. Marvel at the epic engineering of the Panama Canal as you transit through the Gatun, Pedro Miguel and Miraflores Locks, and enjoy port calls in the Caribbean and Central America. Conveniently sailing roundtrip from Ft. Lauderdale, these classic itineraries take you through the Gatun Locks to beautiful Gatun Lake and feature calls in popular Central American and Caribbean cruise ports such as Aruba, Cartagena, Limón and Ocho Rios.